During the winter break, I had the privilege of participating in the 2018 Global Lawyer subject. 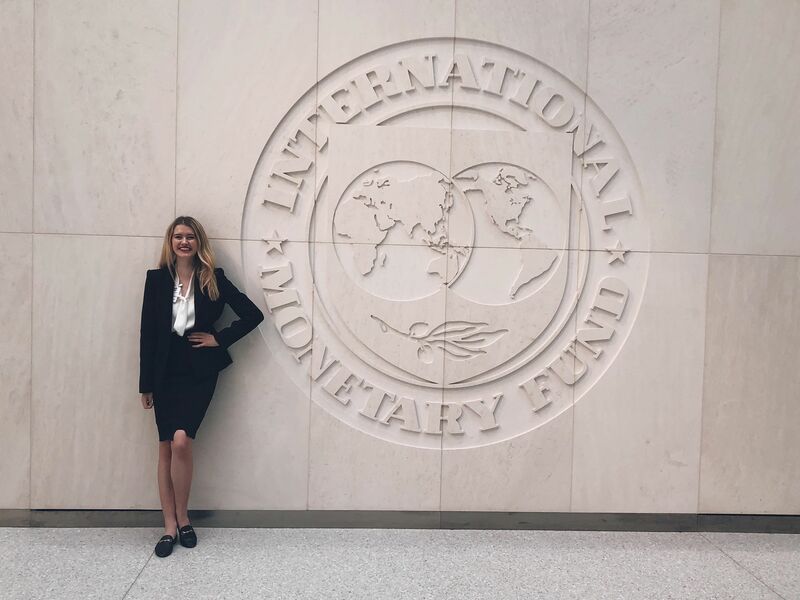 Along with 24 other JD students, I spent two weeks in the United States hearing from world-renowned experts in law, trade, policy and defence. To say the experience was eye-opening would be an understatement; we were granted access to some of the most prestigious law firms in the world (hello Cravath, Swaine & Moore LLP), and arguably one of the most impenetrable defence centres in the world: the Pentagon. America looms large in the public imagination. Although it certainly isn’t without its social and political problems, the US remains synonymous with ambition, hope and shameless bravado. In the thriving political heart of its capital, the notion of the American dream was palpable. This was equally true in New York, a hub of commerce, entrepreneurialism and attitude. Someone quoted David Malouf on the first day of the subject, saying ‘History is made when Australia is asleep.’ Although this somewhat downplays our rich history and culture, Malouf was definitely onto something. We spent the first week in Washington, D.C., and heard from one brilliant speaker after another. D.C is a beautiful city, resplendent with grand buildings, monuments and museums. It felt like powerful people were everywhere. We even saw Christine Lagarde, Managing Director of the IMF, at a café eating lunch, flanked by three Secret Service Agents. Perhaps I’m just a diehard US politics buff who has watched one too many episodes of House of Cards, but I found it exhilarating. Highlights from D.C. included meeting lawyers who had advised in the Bush and Obama Administrations; listening to a woman who was Bill Clinton’s speechwriter at just 19 years old; and meeting Australian diplomats. In terms of private law, I loved learning about arbitration, and it was also fascinating to hear trade experts discuss the recent controversial tariffs levied by and against the US. 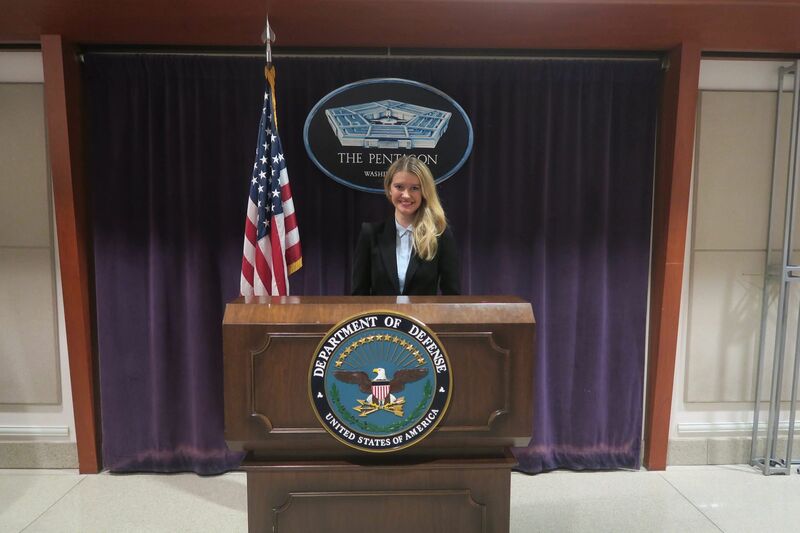 However, visiting the Pentagon was the most memorable experience. The security clearance process was surreal, and we needed armed escorts with us at all times. I tried to take a mental photograph of everything, because it’s unlikely I’ll ever be granted that privilege again. The second week was spent in New York. Again, we were immersed in the best of private law and public law, hearing from transactional lawyers, arbitrators and arbitration specialists in firms that would make any Suits fan weak at the knees. We also visited the United Nation Headquarters, and heard from an academic at NYU law school whose commentary on lawyers’ roles in authorising enhanced interrogation techniques in Guantanamo literally made my jaw drop. 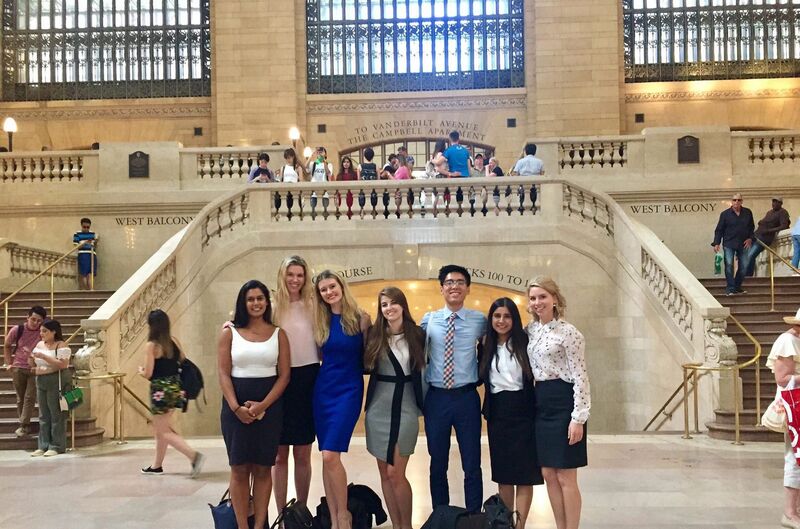 Seeing the firms in New York confirmed my desire to work there – the clichés about NYC being inspiring and exciting are true. Finally, making new friends and getting to know my peers better was so special. 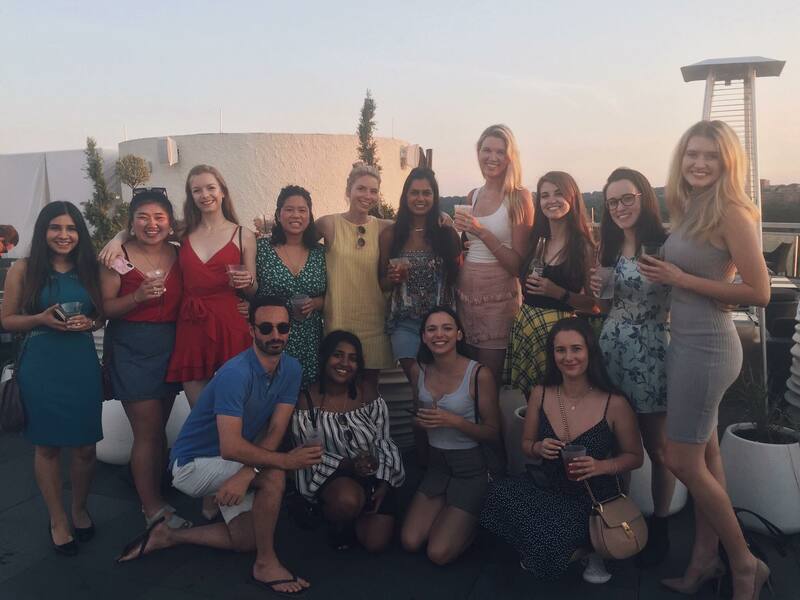 There were picnics, boot camp sessions, karaoke outings, Broadway shows, sightseeing and endless delicious meals together. It wouldn’t have been possible without our amazing subject coordinators, Dr Bruce ‘Ossie’ Oswald, and Professor Tania Voon. It was the trip of a lifetime, and having an insight into life as a global lawyer has been the most motivating part of my JD so far.